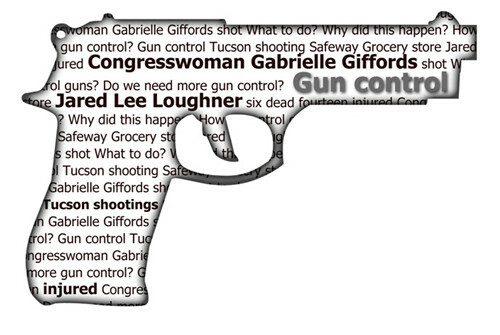 Gun Control Debate » What is gun control, Reasons for gun control and the motivation behind it? You are here: Home // Gun Control // What is gun control, Reasons for gun control and the motivation behind it? What is gun control, Reasons for gun control and the motivation behind it? Posted by Gun Control Debate on Apr 01, 2012 | Comments Off on What is gun control, Reasons for gun control and the motivation behind it? What is gun control? Gun control is any practice or law which is designed to limit the production, importation, possession, sale and shipment of guns by private citizens. Personal firearms, long guns and handguns are the one which comes under the scanner of gun control. These days various gun control laws have been followed strictly to restrict the unauthorized access of firearms by any means. Even though the policies and laws vary greatly from country to country, their intention is same and that is to stop illegal usage of guns by public. In countries likeUSA andChina very strict rules of gun possession has been followed. InAustralia, the gun control topic remains as a miserable subject. Various studies have been conducted to find out the correlation between suicide and homicide rates and gun ownership. A 1993 report by Martin Killias shows that there is a significant relationship between suicide rates and gun ownership. This report mainly concentrated on women assaults and crimes and found out the possible violence created by gun access. What is gun control– The other definition? The restriction of gun ownership or its purchase, irrespective of whether it is for defensive purpose or sports purpose is also called as gun control. In other words gun control helps to minimize the crime rate thus by decreasing the offenses. What is gun control according to United States Second Amendment? According toUnited Statessecond amendment, gun control is a limitation or denial of constitutional right to self defense by the government. There are many reasons for gun control and some of them are as follows. Gun control drastically reduces the murder rates and criminal offenses caused by guns. Gun control eliminates the shooting extravaganza that can provoke any one to commit crime in a highly feared environment. Often people say guns cause violence and no one is excluded from it and therefore some gun control laws are necessary to keep you out of danger always.